In Hampshire and Hamden County, Massachusetts, Ambient Heating and Air Conditioning is a full service HVAC company applying our trade since 2003 to commercial businesses and residential homes. We are fully insured and licensed and our crew of experienced professionals has advanced training and is highly skilled in our craft. Combining our expertise with professional grade equipment, tools, and products, we offer each of our valued customers premium HVAC services. Local commercial business owners have many responsibilities to keep their businesses running optimally. Ambient Heating and Air Conditioning knows that between employees and customers, having HVAC system issues can be a major disaster. With so many other businesses relying on Ambient Heating and Air Conditioning, we are experienced in the complex nature of commercial buildings HVAC system networks, and can quickly respond to your commercial business in the time of need. We offer commercial air conditioning sales, installation, maintenance, and repair services to all Hamden and Hampshire County, Massachusetts commercial businesses. Whether your commercial business in Hampshire and Hamden County, Mass. 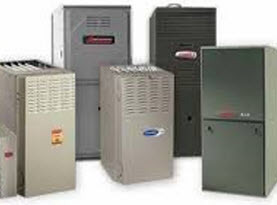 is just getting started with a new build out, or getting made over with extensive renovations, or even just been around for a few decades, you need the leading experts in the area to help you find an energy efficient, superior quality, and long lasting air conditioning units that are the appropriate size for your commercial building. Ambient Heating and Air Conditioning sales team is highly qualified, trained, certified and experienced to assure your business gets the most optimal air conditioning unit for your needs. 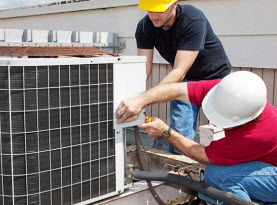 Once our team of highly skilled sales associates gets the perfect air conditioning unit for your Hampshire and Hamden County, Massachusetts business, Ambient Heating and Air Conditioning’s expert technicians will get it installed quickly and efficiently. 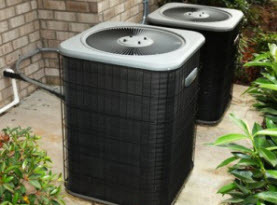 If an air conditioning gets improperly installed, you can be expect to experience a plethora of issues, but with Ambient Heating and Air Conditioning, our highly talented professionals conducting your commercial air conditioning unit installation service, you can have peace of mind that Ambient Heating and Air Conditioning Inc is doing so properly. Ambient Heating and Air Conditioning’s commercial air conditioning unit maintenance service is highly recommended annually at minimum. 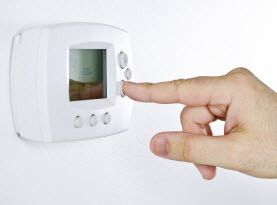 Having your Hampshire and Hamden, Massachusetts commercial business’s air conditioning unit professionally maintained by Ambient Heating and Air Conditioning can help prevent unexpected malfunctions, minimize major malfunctions, and keep your air conditioning running to and often surpassing its expected life span. As with anything with moving parts, repairs are sometimes needed, especially if maintenance gets puts off. Ambient Heating and Air Conditioning can repair any air conditioner for your Hampshire and Hamden County, Massachusetts commercial business. Ambient Heating and Air Conditioning technicians performing commercial air conditioning repairs with 100% guaranteed satisfaction. Ambient Heating and Air Conditioning commercial air conditioning services are among the many we offer, with our experience and expertise you will get superior quality with affordable prices. If you find your commercial business in Hamden and Hampshire County, Massachusetts is in need of air conditioner services call us today, you will be so pleased with our work you will keep our contact information stored in your phone for quick convenience.